Good news for Nest owners: the 4.3 software update (rolling out this week) is adding more information to the display, improving the auto-scheduling feature, and adding a system test mode. The Nest’s interface got a big revamp in response to customer requests (and probably market competition – the Ecobee3 and the Honeywell Lyric both featured more on-screen info than Nest used to). Push the Nest’s outer ring to see a circular menu of icons. Each icon corresponds to info that used to be either buried in Settings or absent altogether. Twist the ring to select an icon and view the associated information. System Test is an interesting feature that we haven’t seen on many competitors. It does exactly what it says on the tin: it runs a test of your heating and cooling systems so you can check for problems. You can use this feature as often as you like, and Nest recommends running it at the start of the heating and/or cooling season. Impress your best guests with a Nest test. See Nest’s walkthrough on conducting system tests via your Nest. Nest also added time and weather support for more countries worldwide. If you didn’t have time/weather support before, you might get it in this update. How do I get the 4.3 Update? If you already have a Nest, you should be getting the update sometime this week. Check if you already have it: push your Nest’s ring and if you see the Quick View menu with the weather, outdoor temp, and humidity, you’re set. 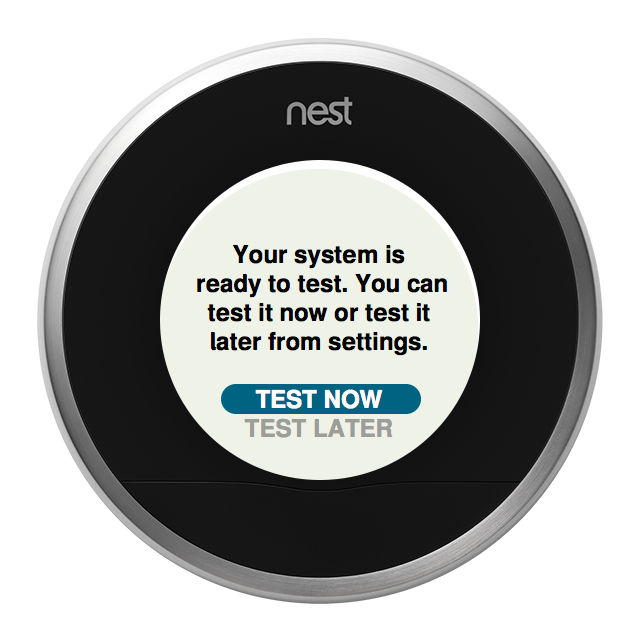 If you havenâ€™t gotten the update by Friday 11/7/2014, Nest suggests you read this. We love it when a smart thermostat gets an update. It keeps us confident that manufacturers will continue to support these products, even for users who have already paid for and installed the device, and it keeps the competition between brands healthy. We love that Nest heard customer complaints and requests and responded by adding those features. Assuming there aren’t any big glitches in this update, this is update is great news. Enjoy! 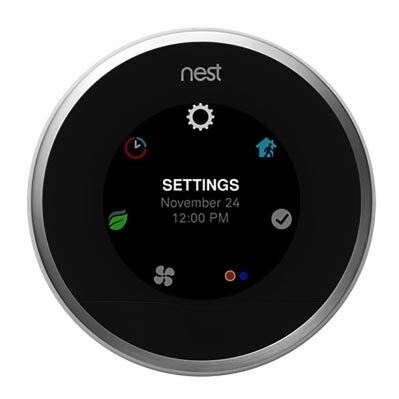 Read our detailed Nest review here.